Synergy is the process by which media institutions use a range of platforms to promote, sell and distribute their products. Assess the impact of synergy in your cross-media study. Support your answer with reference to a range of examples from three media platforms. Synergy can be defined as when two or more compatible products sell each other e.g. Facebook and Farmille/Candy Crush Saga, or a film and soundtrack but for the purposes of this response I will be analysing synergy from an institutional point of view in terms of how it works across platforms but also exploring whether the impact of synergy on audience reception and response is significant or not. My cross media study topic is film fiction – for moving image I researched Star Trek (2009), Skyfall and A Field in England while for print I looked at Empire Magazine, Total Film and Sight and Sound and for E Media - Netflix, YouTube and iTunes. Synergy was very much evident during the multi platform release of A Field in England on 5th July 2013 and relates directly to the concept of ownership – developed and financed by Film 4.0, Film4’s digital arm this low budget (£300,000) independent film was simultaneously released at PictureHouse Cinemas (The Ritzy in Brixton, London), through Film4 video on demand and through iTunes where audiences could purchase the HD version for £13-99. 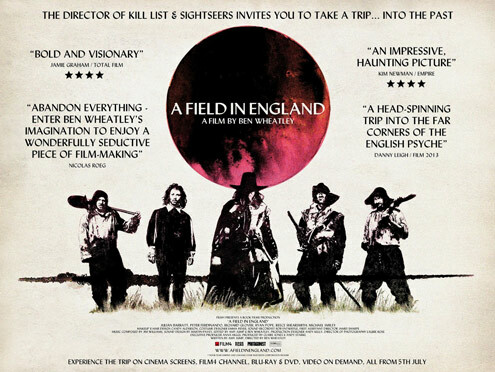 Ben Wheatley, the director wanted build the maximum amount of industry hype by reaching an audience traditionally it would be hard to connect with. The coordination of platforms also had the key advantage of not just selling the film, but also selling Film4, the PictureHouse Cinema chain and also iTunes to audiences.